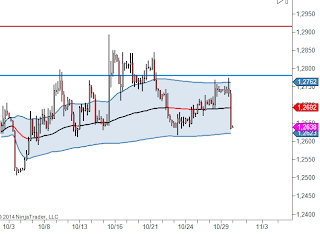 Here's a quick technical perspective what we are seeing with the USD/CNH currently. As usual, we will walk through our top down process looking for the path of least resistance and market context. 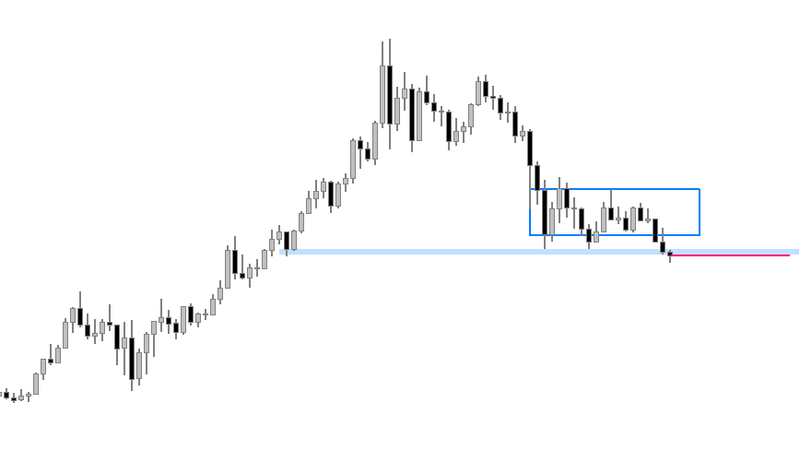 To start out, let's take a look at where we are from a pure Monthly bars and Weekly bars perspective to view the macro context. We can see that the market formed a balance area in the previous months. Actually the market broke out to the upside and trading above that balance area now. With the installed Fibonacci levels we can see that the market found support at the 50% and the 61.8% level to form the bracket area. Currently the market testing a potential resistance area but could heading toward to the next marked area in the new year. 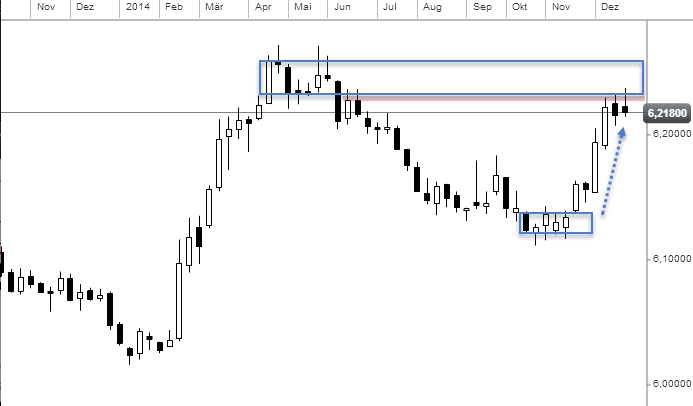 With looking at weekly bars chart, we can identify a one time framing higher market that occurs since several weeks. Also the previous week's high got taken out from the current one. 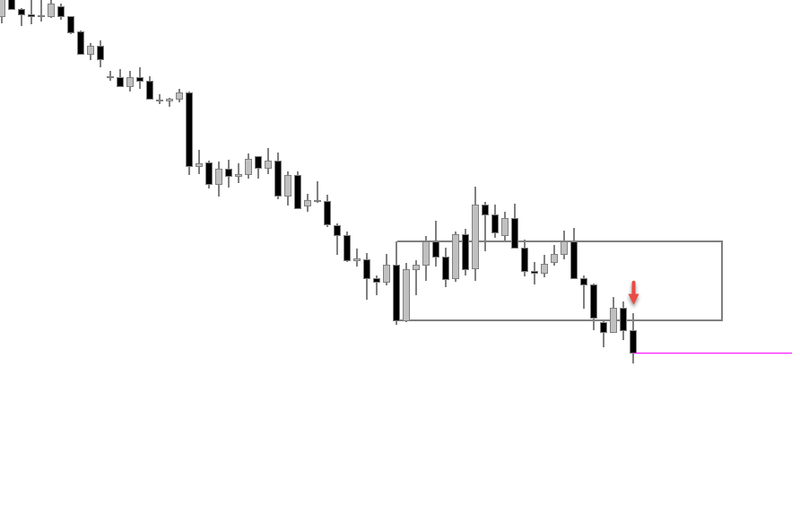 However, we can observe a rejection area with the previous bracket low that holds since two weeks. With installed EMAs on this weekly timeframe we can see that a bullish short-term trend is intact currently. Moving forward to the daily perspective we can identify some brackets and gaps. With yesterday's close and today's open the market actually broke this current balance area. 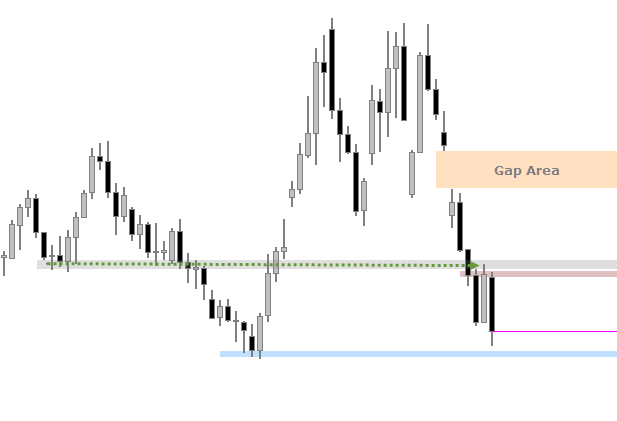 As we know gaps are potential areas that could be revisit. 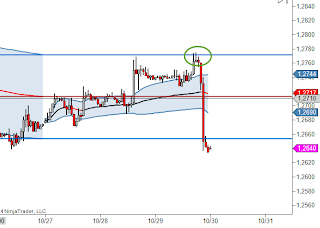 The market opened and moved lower to revisit and fill that open gap. 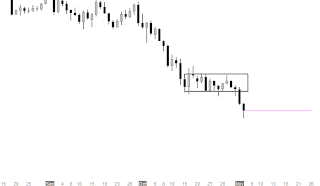 There is also one more potential gap lower to target. With today's close within the bracket a test of the balance area low is somewhat probable. It looks like the stream of buying died up here and some guys took profit today. This could lead to more short selling to revisit the next gap. With a close below 6.2135 the likelihood to explore lower prices would be higher. Anyway, everything can happen. Let's stay focused and react to market generated informations. Let's take a simple non-political purely technical perspective on the currency pair USD vs RUB. We are analyze markets like this because of educational purposes only and not for the reason that we are actually trading it as we do not. With that said, let us begin with with our Top Down Analysis. With looking at the monthly bars chart, we can observe an one-time-framing higher market condition that occurs since five months. Also the previous month's high got taken out. Moving forward to the weekly bars chart, we can see an one-time-framing higher market as well. 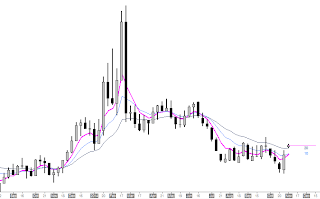 Especially this week's volatility was heavy as we can see it. After a substantial drop in Ruble's value the market finally closed nearly this week's open and left behind a enormous candle tail. 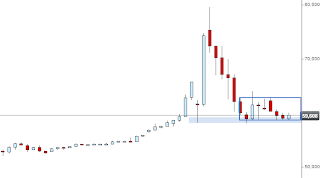 There are also two potential support levels marked. With installed Exponential Moving Averages (EMAs) we can see that the short term trend with the 5, 10 and 20 EMAs is intact. 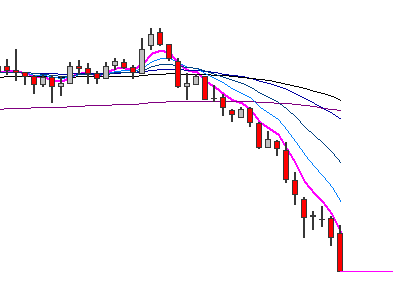 Some weeks ago the market opened below the month's average but found support at the 10 EMA to move higher. 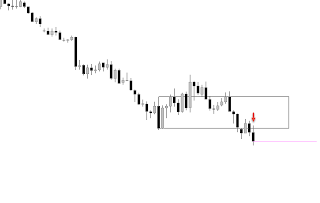 With looking at the daily bars chart, we can identfy a balance area and various support as well as resistance levels. The market closed and just sitting on the bracket low. A potential break could lead us to the next support zone. If the bracket low holds we could see a test of the balance area high. With the zoomed in 240 minutes chart we can see a clear supportive zone alongside with a smaller balance area. So the probability of a balanced market behaivor is high, especially because of the holidays. Anyway, we'll see what for tools Russia will use to stabilize their currency. So everything can happen in this market. With this information in our minds we could expect some balanced days next week. Maybe the market can take out the previous week's low as well as the daily bracket low to end this one time framing higher market and the value drop of Russia's Ruble. 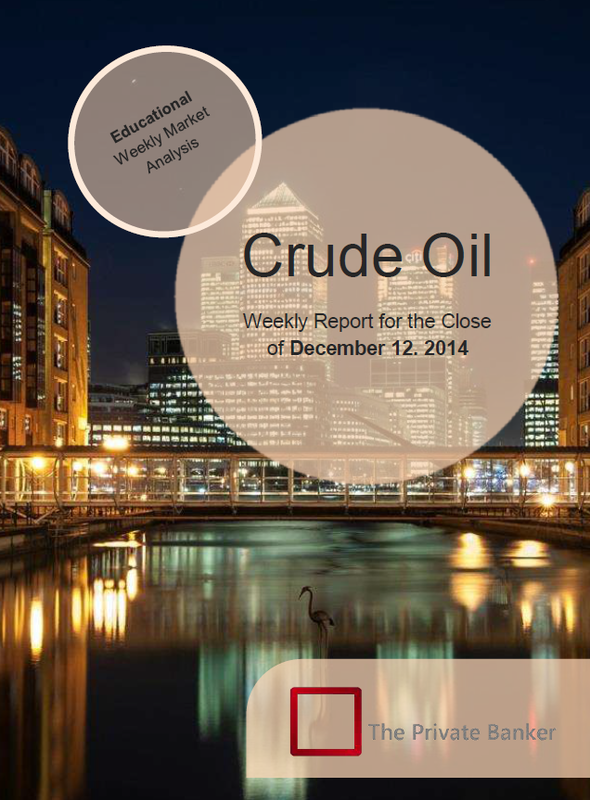 We are glad to provide you a sneak peek in one of our new projects: Educational Market Reports. 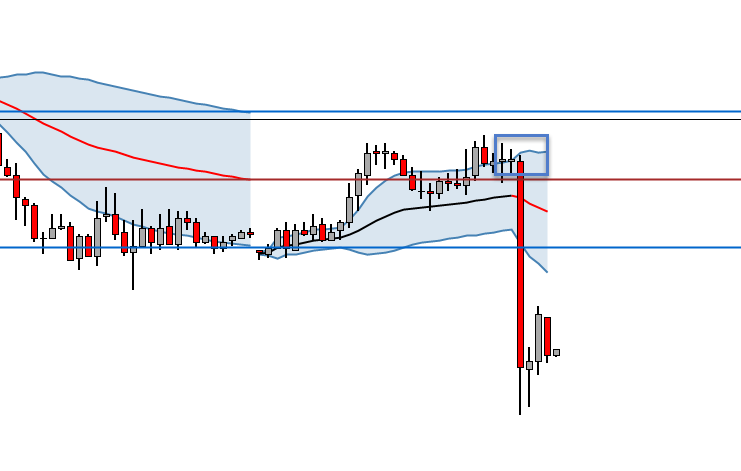 The weekly educational reports cover a summary of the week with various analysis tools like VWAP or the TPO profile and potential scenarios for the week ahead. The reports are available for our community traders with an elite membership. Please Notice: This Report is simply an educational observation of the market and is not to be construed as investment or trading advice. This is an educational top down technical market perspective on Natural Gas. 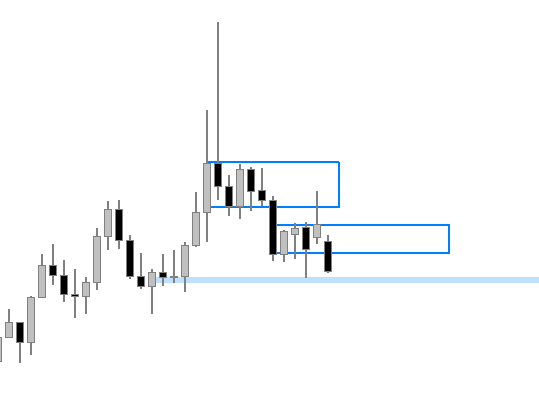 Looking at the monthly bars chart, we can see that this month opened in the middle of the balance area and took out the previous month's low. 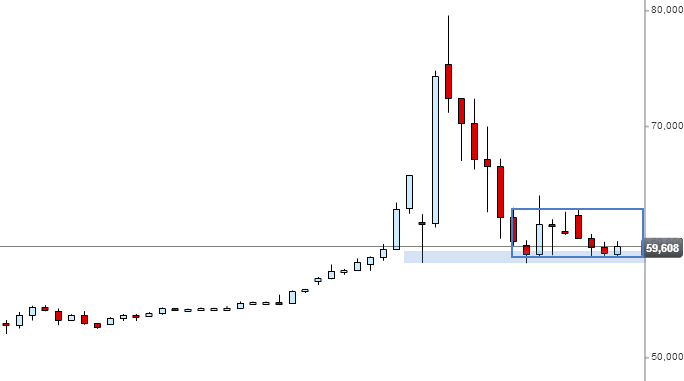 The market trading below this balance area now and moving forward to the next potential bullilsh support area that actually hold two months ago. Also, we can observe how the previous month got rejected from the last bracket area. The previous week's low got taken out at the first day on this week and we are testing currently a potential support area. We'll see how the market will will react to this level now. 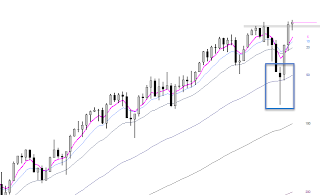 The outside bar four weeks ago was the first heads up for a probable change in trend direction. 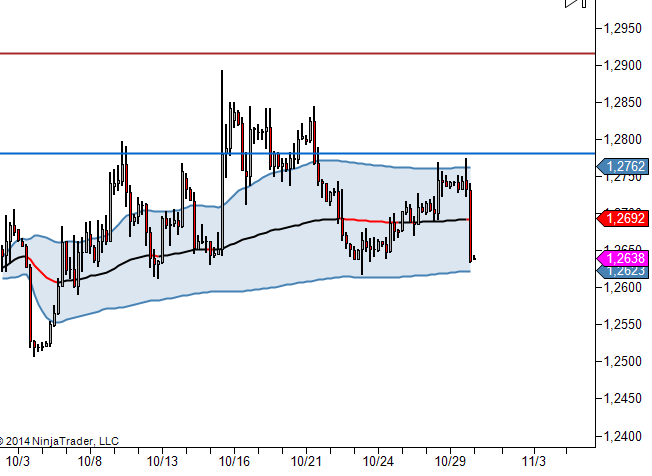 This was followed by two inside weeks and the previous week finally took out the outside bar's low and closed below its range. 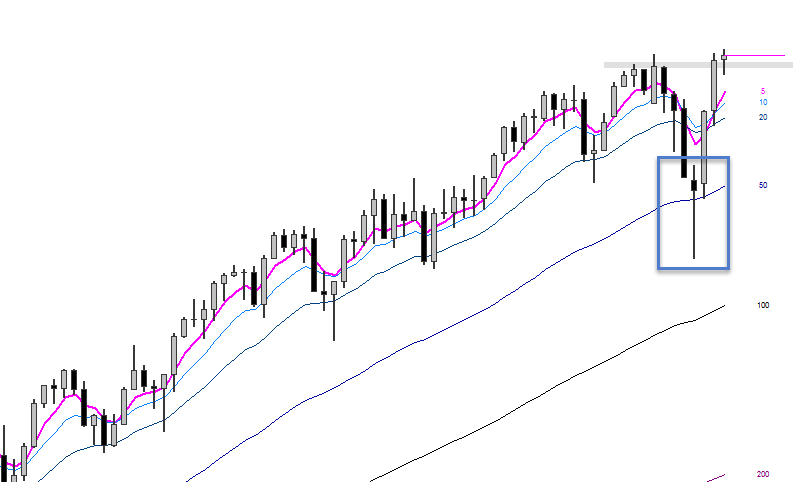 With a more bearish view we are moving forward to the daily bars chart. This timeframe one time framed lower since six days and left behind a gap area that could be a possible area to revisit. Friday's market took out the high from Thursday but closed inside of Thursday's range, so actually it was not a sign of change in trend. 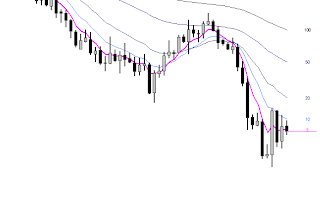 Anyway, today the previous low got taken out and the bearish trend remains. 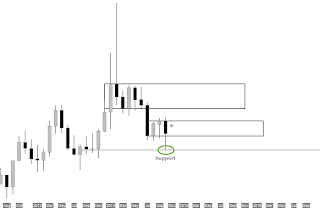 The next potential support area is marked on the chart. 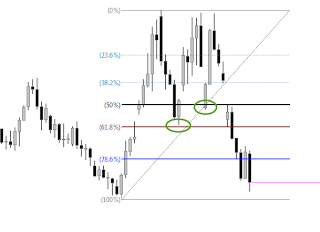 Also interesting to mention on this daily timeframe was the nice support at the 61.8% Price Retracement level as well as the support at 50% level on the second test. Looking at the weekly and daily timeframe with installed EMAs, we can see that the market is trading below the short-term EMAs as well as the long-term EMAs on both periodicities. Today's market for example opened around last week's average, so the probability of more selling occurring was high. Let's take a look on the Regular Trading Hour's (RTH) TPO profile. 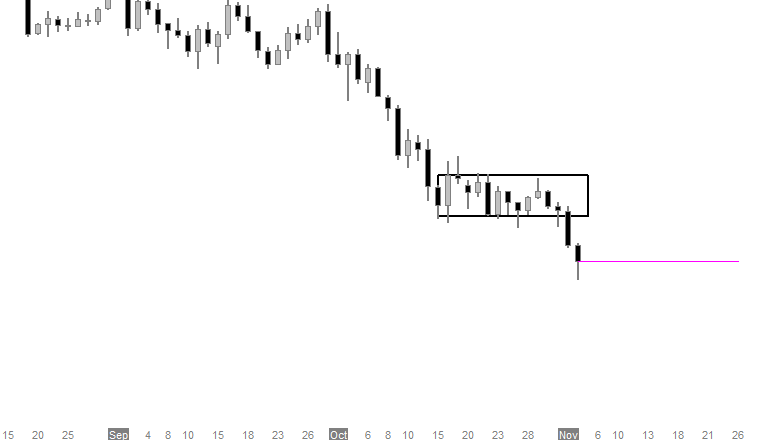 We can cleary see a Double Distribution profile with an open gap area in the middle of last week's range. The previous week's low got taken out and the market left behind a unsecured high in the current profile. 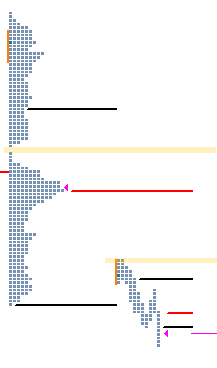 Today's market opened inside of Firday's range and in the upper distribution area (ETH TPO Profile). 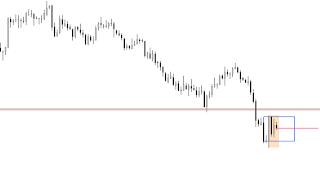 All the day the market moved continuously lower and cleard Friday's unsecured low as well. We hope you've enjoyed this quick educational market analysis recap. Stay happy and think simple! What is VWAP, RTH, ETH, Bracket etc? Take a look into our Trading Glossary. You want learn more about our Trading Methodology? Visit our community site or website to learn more about how we trade day-to-day. 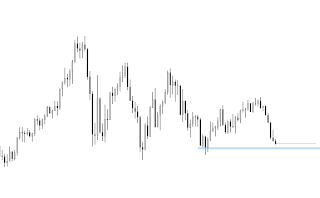 With an elite membership for example you can read some more indepth educational analysis posts and download our chart templates for Sierra Chart and NinjaTrader. 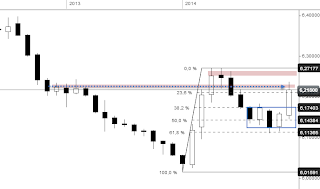 Welcome to a quick educational Macro Top Down Market Analysis on Brent Crude Oil from the yearly bars zoomed in to the monthly bars. The Top Down perspective is very important to understand the overall market context. The market is telling a story and you have to be able to read this with various timeframes and tools. Let's starting with the yearly macro chart. Currently we trading outside of this balance zone that occurs since three years. Also, the low from two years ago got taken out. The bar from two years ago was a ouside bar and gave us the first heads up for a potential change in market context. Moving forward to the quaterly bars we can obtain some more zoomed in informations. 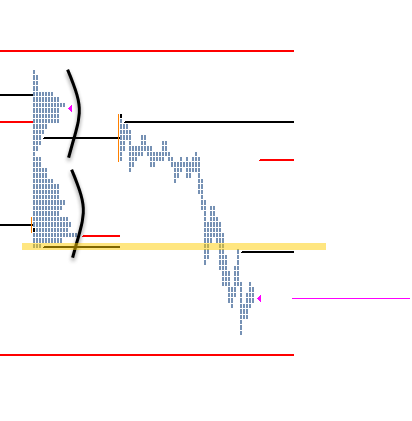 The market is trading below the bracket zone now and is not an inside bar anymore (orange shadow). We are heading towards to the next marked potential support are on this timeframe. 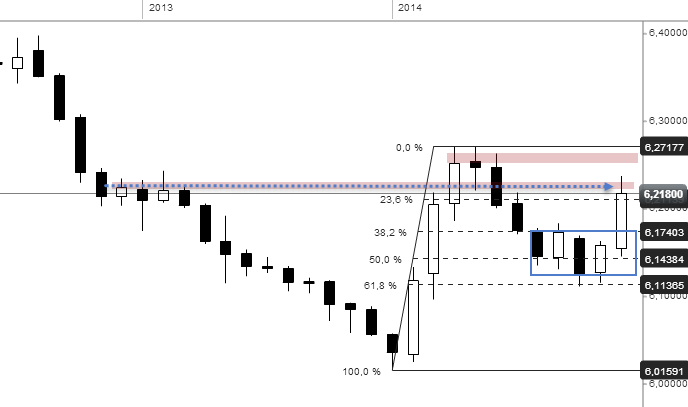 Next is the monthly bars chart. We can observe a five months one-time-framing lower market. 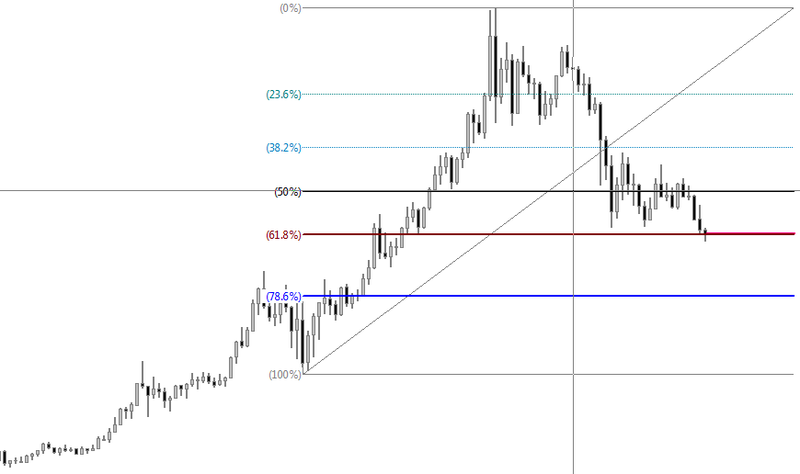 Marked on this chart is a potential support area confluent with the 61.8% fibonacci retracement level. Overall this market is very bearish rated with the informations so far. 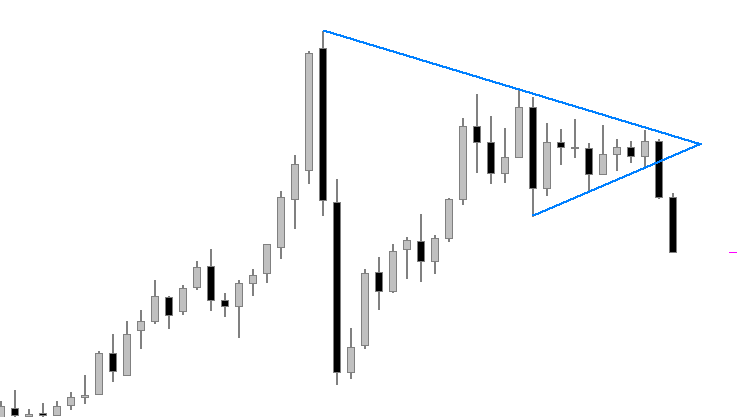 Anyway, we will take one more quick look at a weekly bars chart with installed EMAs. 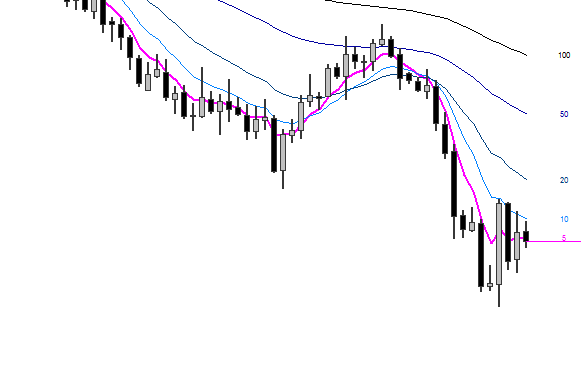 We are one-time-framing lower since several weeks here and the 5EMA is been successful rejected. So the short-term-trend with the 5, 10 and 20 EMA is intact as well as the long-term trend with the 50 and 100 EMA. 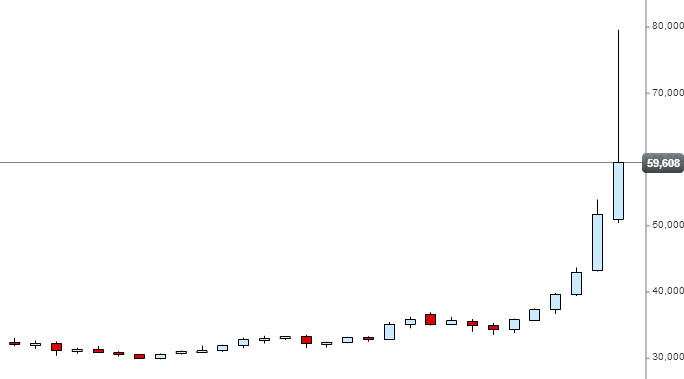 You can see how much market generated informations we can get out of plain market charts. We could now move forward to analyze the market with various tools like VWAP, TPO profiles or price channels to better understand the overall market story as well as moving and touching base on smaller time frames to identify some potential trade opportunities combined with a strategical risk management. You can learn more about all this in our trading education. 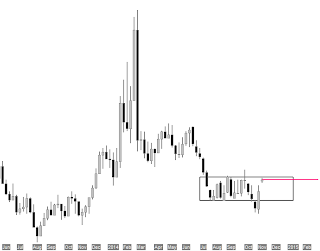 With the informations from the monthly chart let us moving forward to the next periodicity: the weekly bars chart. 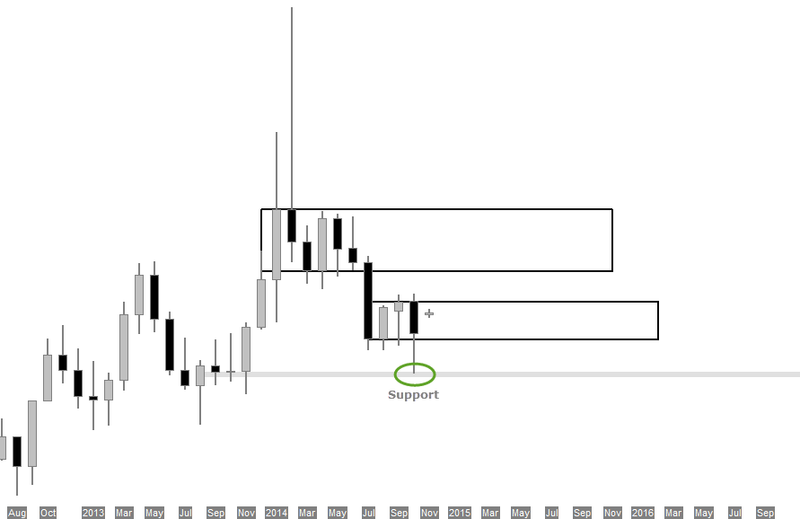 Last week closed strong in the potential support area. We are one-time-framing lower here as well. The current week is an inside week as the market did not took out last week's high or low so far. Drawn is also a bracket area but we broke that clearly two weeks ago. 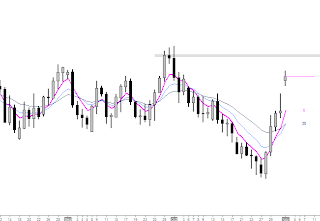 Next one is the daily bars chart. 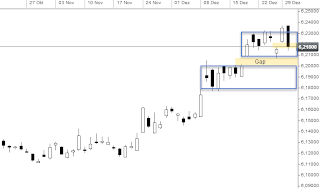 Here we can identify a balance area and three inside days including the current one. We had a outside bar three days ago and this could be a first sign for a change. On the daily perspective the long term trend with 50, 100 and 200 EMA is intact. 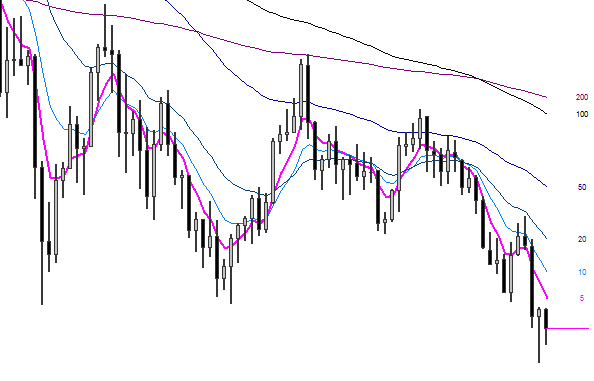 Currently the market battle around at 5EMA but finds resistance at the 10 EMA. 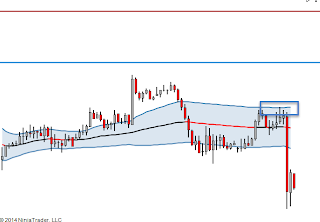 With the weekly VWAP and intra-day VWAP we could lean us on the value extremes as the Gold market looks very rotational currently. Let's careful observe a break out of the daily balance area, we'll see what happens then. To learn more about our Top Down Analysis process as well as our VWAP Trade Methodology combined with a strategic Risk Management you can visit our Trading Community. With daily recaps and a trading education section you can learn alongside like-minded traders. We looking forward to see you in our community! 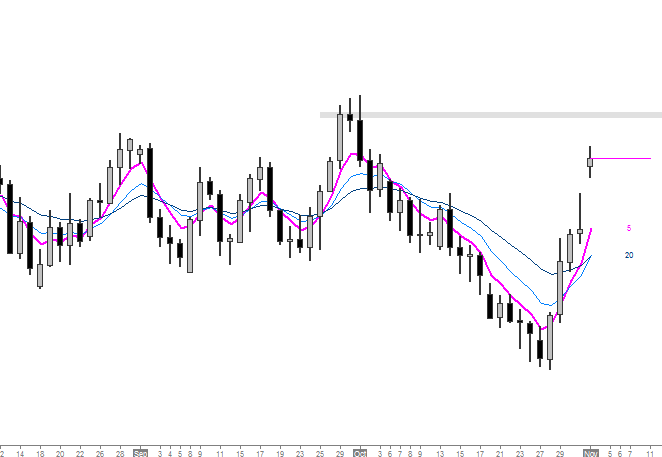 Amazing short move in EUR/USD today. Let's take a quick look on this market with a top down analysis combined with a nice trade opportunity to catch this straight move down. We beginning like always with the macro monthy bars chart. The market one-time-framing since 6 months lower and last month's low got taken out as well. The market could reach the next support area. On the weekly bars chart we can identify a bracket area. 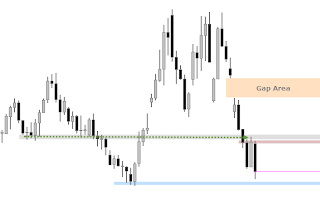 This week opened at the lower line of this balance area, took out last week's low and trading below the bracket currently. 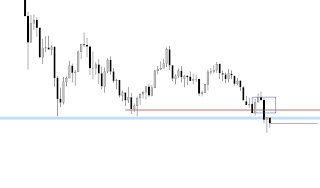 Here is the next potential support area marked as well. Moving forward to the daily chart we can observe how the previous day's market took out the low from two days ago and closed below the bracket area. Today the market rejected the balance area low and took out yesterday's low as well as the low from three days ago. Now to the trade opportunity for today. 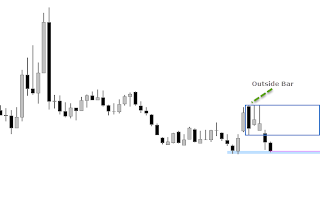 Observing the weekly TWAP we can see how the market trading below last week's value, found resistance at this week's developing value high and moved streight through the DTWAP and DVAL. With the more bearish HTF informations as well as the knowledge about the potential resistance at the weekly developing value high a trade as soon as the market got back into value with a stop placement above today's high made sense. Logical scale target would be the other side of weekly developing value. With that said, we hope you've benefit from today's market action in EUR/USD and if not the next opportunity will arrive for sure. In the meantime you can visit our trading commmunity to learn more about our trade methodology and risk management approach. With our premium education content you can acquire knowledge about a tactical and strategic position management with logical stop as well as target placments. You do not have any experience with The Private Banker and his trading education? Read some feedback from our valuable members and clients to get a sneak peek in our hard work. The most comprehensive, no-nonsense resource I have found available to those seeking educational content for learning auction theory and how to make sense of the futures markets is The Private Banker. From top down context analysis to techniques on how to manage risk, the material available here has truly brought my knowledge of trading to a much higher level. The supportive community members, of all experience levels, makes the forum a unique, and invaluable learning experience! Thank you very much for your kind words Matt! Take the time and read some more insights on our feedback page. This is a quick preview of a market analysis form our trading community. With an elite membership you can read some more market insights from the community and download the analysis chart templates as well as tools we using in our daily trading. 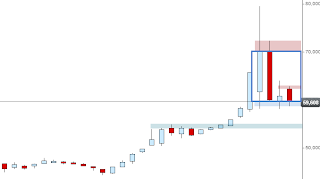 With that said, let's take a look on some HTF (Higher Time Frame) charts. On the weekly bars chart we can identify a strong close above the 50 EMA some weeks ago and since then we are one-time-framing higher. Last month's high got taken out from the current month as well. The short term trend with 5, 10 and 20 EMA is intact as well as the long term trend with the 50, 100 and 200 EMA. This week found support at the previous week's VAL close level. 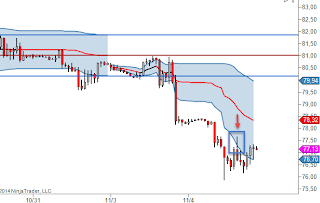 The market moved back into value, tested the developing value low and pushed to the other side of extreme (DVAH). 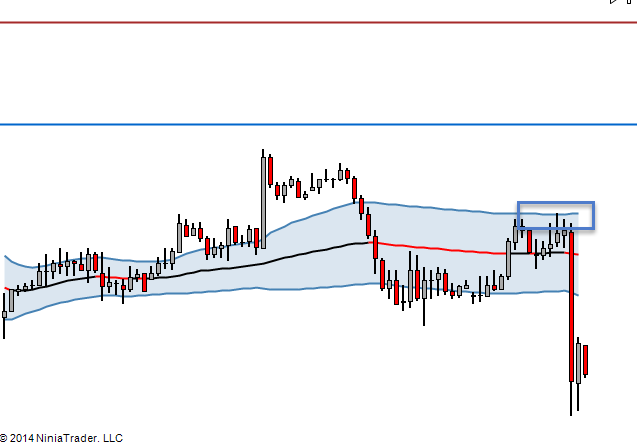 Currently we are balance around in the upper developing value with support from the weekly VWAP. For more insights visit the Sunday Night Homework thread or the Top Down Technical Analysis category. As mentioned you have only access to this posts with an elite membership or premium membership. To better understand the various trading terms like VWAP, VAL or HTF visit our trading glossary of trading terms. 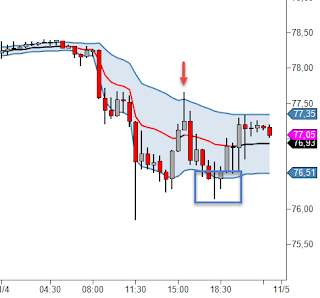 NinjaTrader was specifically developed around your needs as an active trader and recognizes as the industry benchmark for order entry, trade management, trade automation and custom indicator development. This platform that is free to use for advanced charting, market analytics, system development/backtesting and trade simulation which is great for new traders just starting out on their journey. Visit our NinjaTrader Strategic Partner page to start your free trial with CQG now. Alongside with an elite membership on The Private Banker Community you can download our Workspace and Indicators (VWAP, Footprint...) we are using in our daily trading. Let's take a quick look on Crude Oil's market action from today. 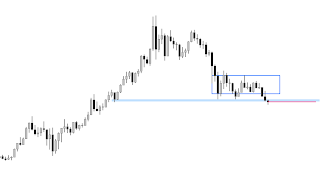 On the weekly bars chart we heading towards to the next support area after breaking the one that held three weeks. On the daily chart we can observe a break out from the balance area that held 13 days, so we are one-time-framing down now. Long-term and short term trend is intact. We moving forward to the weekly VWAP as the monthly is the same currently. 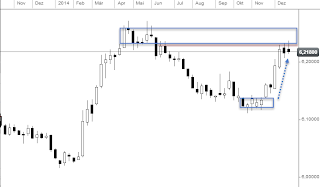 We are trading below last week's value close area as well as below the developing value. 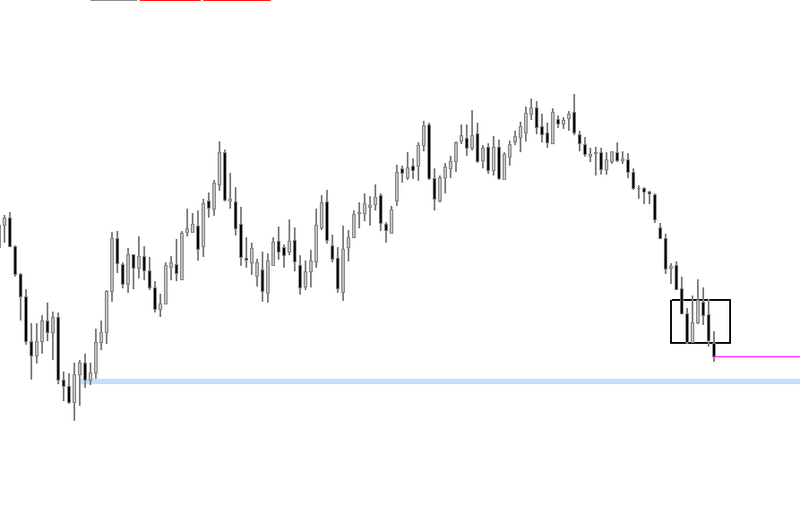 A nice trade opportunity established after we tested the developing value low. In the meanwhile we are back in value again. The RTH market opened with a huge gap down and as we know gap days tend to be rotational and we should lean us on the value extrems in such cases. 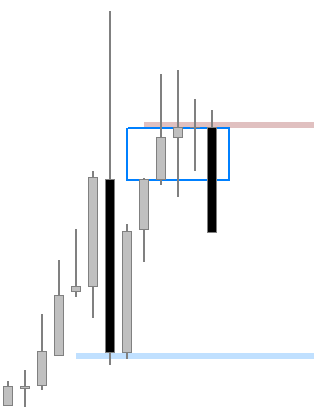 With the bearish HTF in mind a short trade at the developing value high that was confluent with the weekly DVAL made sense. Stop placement above value and as target the other side of extreme (DVAL). 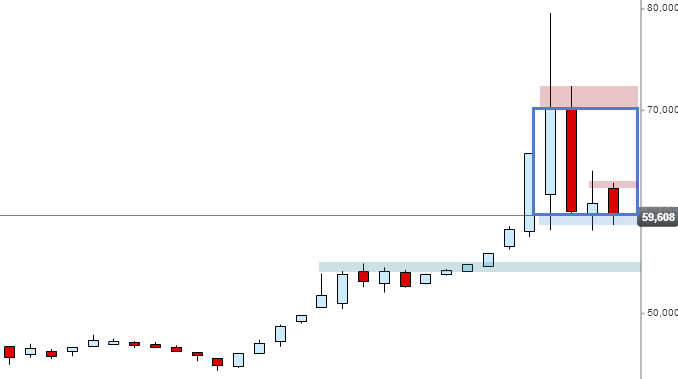 Here a quick view on a HTF chart. 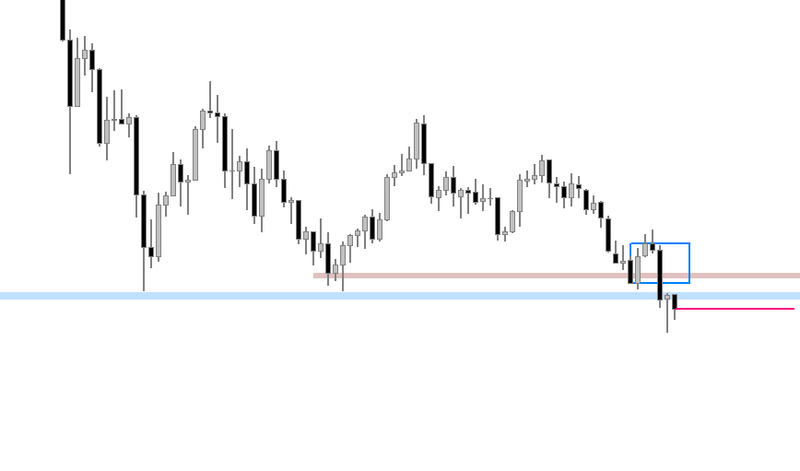 Potential support area? 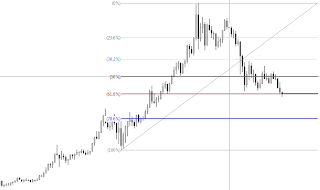 For a more indepth analysis and informations please visit our trading community. Alongside with market recaps and a live market discussion room you can learn our trade methodology with the premium trading education. 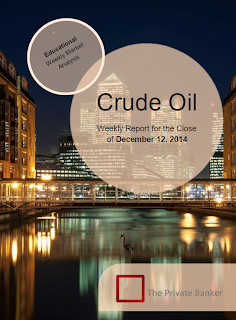 We hope all Crude Oil traders done well today! In this week's Trading Book Recommendation post we are highlighting Brett N. Steenbarger. Brett N. Steenbarger, PHD, is Associate Professor of Psychiatry and Behavioral Sciences at SUNY Upstate Medical University in Syracuse, New York. He is an active trader and author of the popular TraderFeed blog as well as coaches traders in hedge funds, proprietary trading groups, and investment bank settings. Also, Steenbarger received a BS from Duke University and a PhD in clinical psychology from the University of Kansas. Behavior is patterned. Beginning with this premise, noted clinical psychologist and active trader Dr. Brett Steenbarger opens the therapist’s door, demonstrating how traders can identify, interrupt, and change the problem patterns that interfere with successful trading. In The Psychology of Trading, Dr. Steenbarger draws upon real–life case studies and offers hands–on techniques for emotional change to assist traders in becoming their own therapists. Learn more about the books on our Recommended Brett N. Steenbarger Books page. Welcome to our quick educational Top Down Market Analysis for Natural Gas. We are beginning with the monthly bars chart. We can identify a somewhat of balance area here after we broke the upper bracket area. The new month opened far away form last week's close. 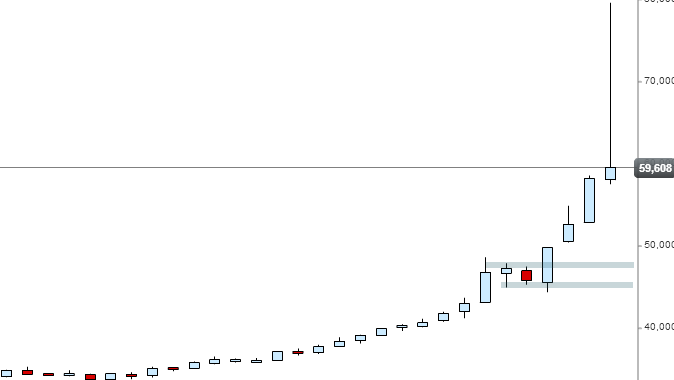 Let's zoom in to the weekly bars chart now. 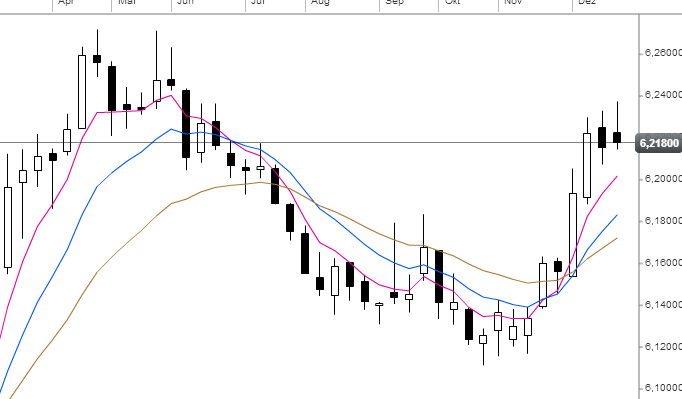 The new week opened with a gap up and we are inside of the weekly balance area. Test of the balance area high should be probable. We'll see what will happen there. Last week has ended the three week one-time-framing down market with an outside bar. The outside bar was a first heads up for a potential change. Actually we took out this week's high with this gap up now. 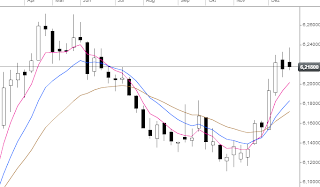 We are also opened above the short term trend EMAs 5, 10 and 20 installed on the weekly bars chart. 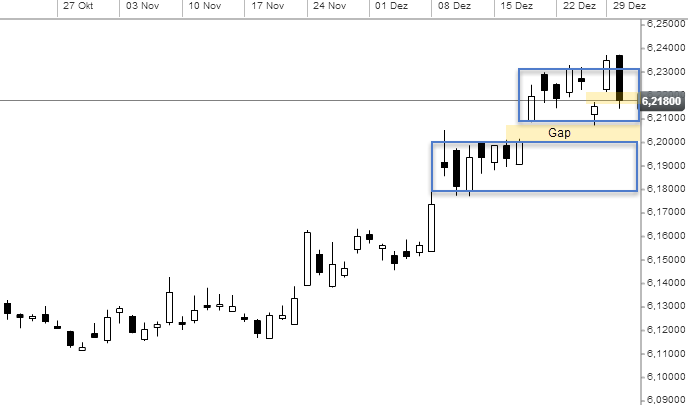 Moving forward to the daily chart we can observe a five day one-time-framing market including today's gap-up day. Also, we are far away form the short term trend EMAs. 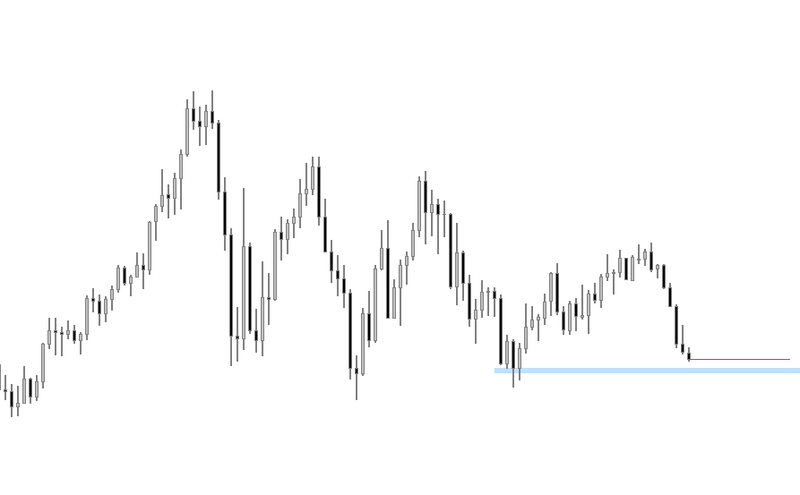 Gap days tend to be rotational, this means we are lean us on the value extremes like DVAH and DVAL to trade from one extreme to another until we break out of the range. 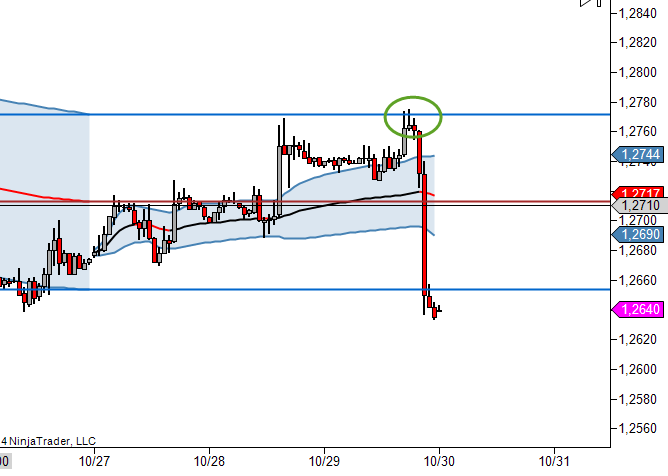 We can nicely observe this behavior on the intra-day VWAP from today. 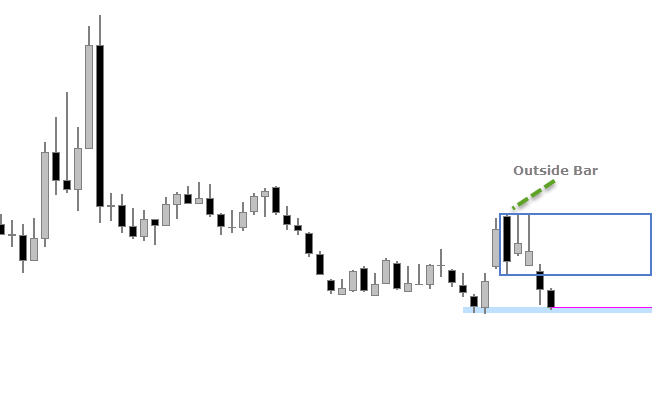 Be careful to trade this market on a intra-day perspective but it is great for analysis purposes to understand the higher time frame story and to improve the feeling of identify the path of least resistance. 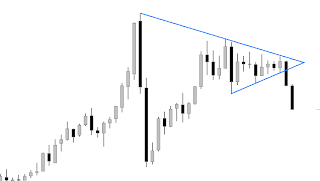 Sometimes it is great to play around with some other markets to sharp our senses with our analysis tools. What is VWAP, VAL, VAH, Bracket etc? You would like to learn more about the Auction Market Theory (AMT) process we employ in our day-to-day trading? Our first recommandation is to read the books from Jim Dalton: Mind Over Markets and Markets In Profile. This book is an examination of Market Profile(tm) charting concepts. The Market Profile principle is also used by knowledgeable and experienced day traders. This is the best available text on the subject. The key element that has long separated tremendously successful traders from all others is their intuitive understanding that time regulates all financial opportunities. In 1984, J. Peter Steidlmayer formally introduced the Market Profile as a way to graphically depict the acceptance or rejection of price over time. For the first time, what had once been the domain of the intuitve trader was not accessible to all traders. Fifteen years since publishing Mind over Markets—their seminal work on markets and investor behavior—Dalton, Jones, and Dalton have greatly expanded their scope, delving deeply into the ways in which the auction process reveals the actions of all investor time frames. They believe that by understanding timeframe behavior through developing market structure, it is possible to identify asymmetric opportunities that can ameliorate risk and help ensure financial dominance. Jim Dalton has been a member of the Chicago Board of Trade as well as a member of the Chicago Board Options Exchange, and Senior Executive Vice President of the CBOE during its formative years. Currently a full-time trader, Jim advises two hedge funds and several trading firms. Jim is a discretionary trader and long-time proponent of employing the Market Profile® to facilitate trading. Alongside with the Private Banker Community you can learn and share your progress with this process. You can combine Dalton's book with our Premium Education to reach the next step in your trading business. The online community offers a home to professional traders to share ideas and learn from others, with an optional bespoke education study program resources accessible at a premium centered around AMT, sound approaches to risk management and business planning. Learn to view the markets as a institutional trader rather as a retail trader with The Private Banker. At The Private Banker honesty is what matters, read some feedback from the online community members. The Private Banker Forum is an awesome online community devoted to Auction Market Theory. 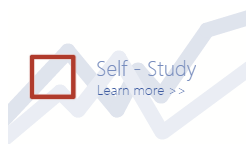 It has stellar self study documents and webinars that can guide you through learning to approach the markets with a profession perspective. Additionally the community and forum administrators active commenting on individual journal posts with feedback and suggestions. There is also a chat box where the administrators and other traders are commenting on the market(mostly CL and some ES) as the day unfolds. Being new to AMT myself this is maybe the greatest feature as you can learn their thought processes during different market conditions. Its probably one of my best trading educational investments. Thank you very much for your kind words Chris! As I've said before, emotions have no business in trading. This is an incredibly hard concept to overcome and a majority of traders battle with this forever. It doesn't have to be that way though. We can overcome this through some simple planning before and after each session while maintaining a logical perspective on what we're doing. - Have a game plan before each trading session. 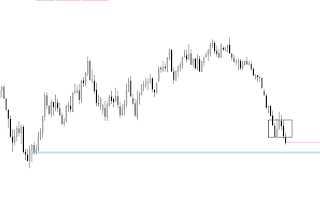 - Make sure your risk is clearly defined before taking the trade. - If you make an impulsive trade, get out and collect yourself. No need to continue in the trade. - If you make continued impulsive mistakes, keep a list of them in front of you so that you're always aware of them. - Don't trade your PnL. There's no need to stare at your PnL all day. You need to focus on the process not the outcome. Trading is not about money. - If you're having a bad day, have a cut off point. Shut everything down and come back later after the market is closed to analyze what happened and learn from it. You can then come back the next session fresh and educated. - Balance. Having some sort of interest in your life beyond trading is so important. You need to have a balanced lifestyle and by doing that, your mind does not place too much emphasis on your day-to-day trading. What I mean by that is, if you're sitting at your workstation all day and putting all of your emphasis on trading, you will tend to have a hard time accepting when you're wrong. Alternatively, if you just follow through the daily process of trading but also have other things in your life, your emphasis becomes more balanced. 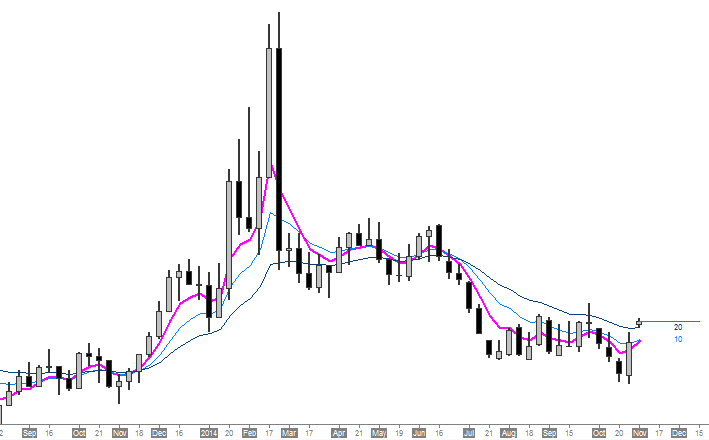 With that said, let's take a look at today's EUR/USD action with TWAP. On the monthly TWAP we can observe a reaction at the developing value area high and a move down straight through the TWAP to the DVAL. This DVAH was also somewhat confluent with last month's VAL close level. 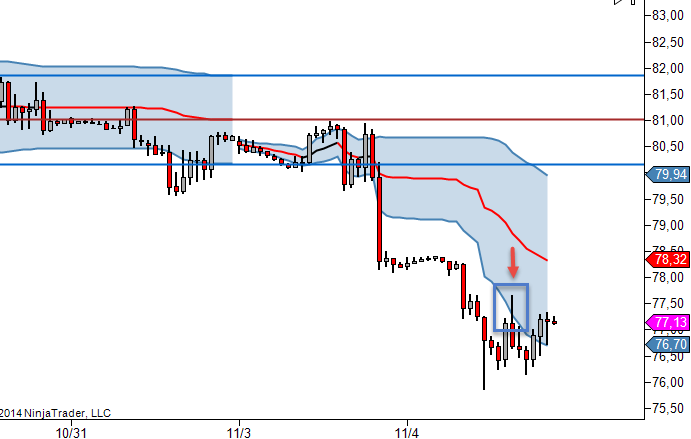 More interesting on the weekly TWAP is the confluence with last week's VAH close level. 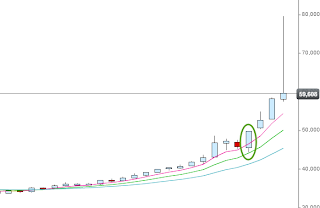 Amazing reaction at this level lead us to the other side and below of value. And alongside with a premium membership you can learn to use tools like VWAP/TWAP properly. Also to mention is our Trading Glossary to better understand the various terms we use in our tweets and posts.